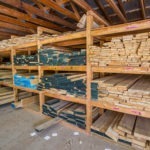 Here at Monaghan Lumber Specialties we strive to provide the best service in the specialty lumber supply market for our customers. We primarily organize our deliveries on a route system; therefore, many of our customers can count on us being in a certain area on a specific day of the week. 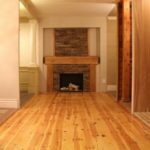 This allows us to offer our customers a very reasonable charge of $0.10 per square foot for all flooring deliveries (main floor only) and $30 for other building materials as long as your delivery is along our route. Generally our delivery area surrounds Peterborough while spanning along the lakeshore from Port Hope to Belleville and north from Bancroft to Minden. 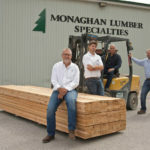 Contact our friendly staff at Monaghan Lumber Specialties to find out which day our truck is in your neighborhood. 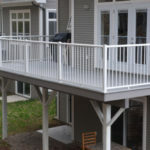 If you are outside of our area, give us a call and we would be happy to provide a quote for delivery. Thank you for choosing Monaghan Lumber Specialties.